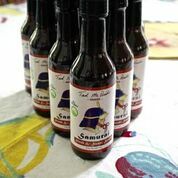 Perfect for sushi, steaks and anything in between, Samurai Sauce complements nearly any food. Enjoy the swirl of flavors, richly layered with savory goodness as you dip, marinade and drizzle away. 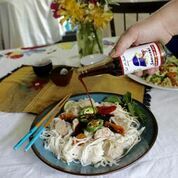 When no other sauce will cut it, cut to the taste with Samurai Sauce.